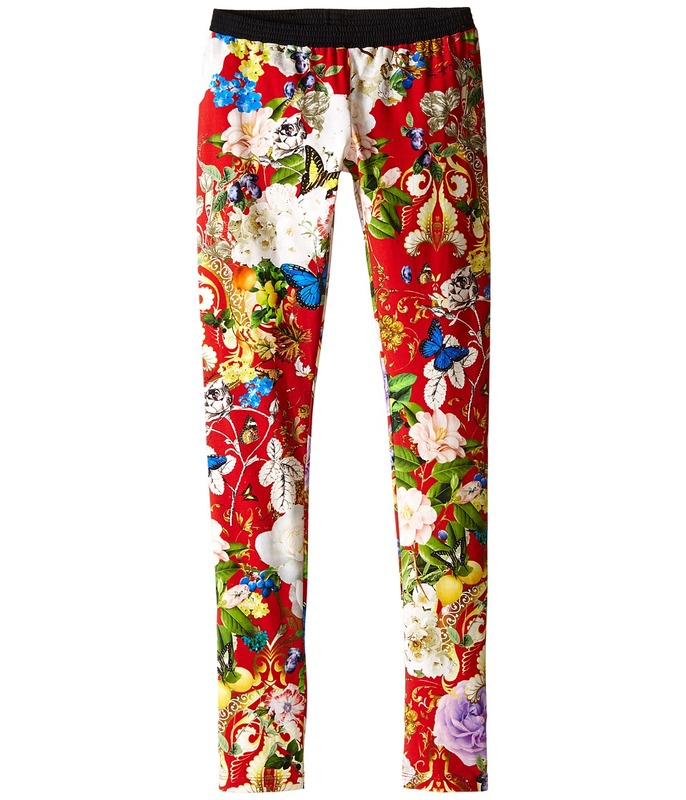 She~ll bloom with excitement for these Roberto Cavalli Kids Floral Print Leggings. Soft jersey construction. Stretchy material for comfortable fit. Floral print allover with color block waistband. Elasticized ribbed waistline. Straight leg. 94 percent cotton, 6 percent elastane. Machine wash cold, air dry. Imported. Measurements: Waist Measurement: 25 3 4 in Outseam: 37 in Inseam: 30 in Front Rise: 7 1 2 in Back Rise: 11 3 4 in Leg Opening: 4 3 4 in Product measurements were taken using size MD (Big Kids). Please note that measurements may vary by size.